Karwa Chauth is a special occasion for any Indian woman. After wedding, it is one of the most important days of her life and obviously we all want to look the best. Stunning traditional or an Indo-fusion outfit, pretty makeup, beautiful eyes, lovely hairstyle and mehndi adorned hands. There is more! An amazingly gorgeous red nail art to compliment the red saree (with golden border) that you have carefully chosen for that day, or golden sparkles to go with your plain outfit which has golden embellishments. 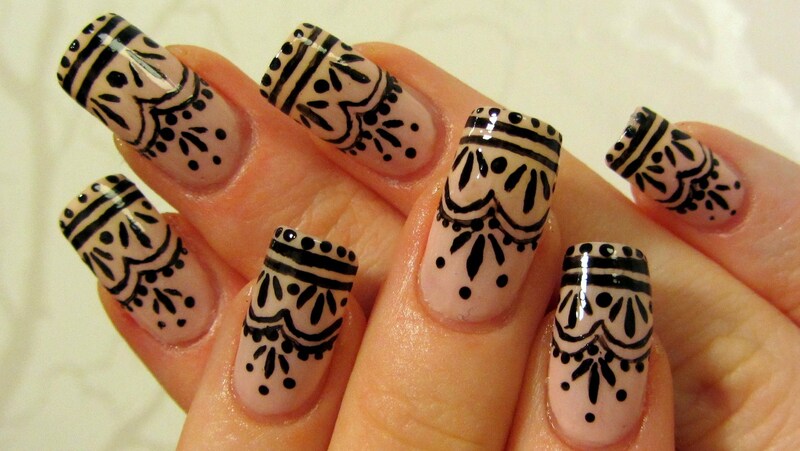 You can go for a chic, elegant, dressy or a simple nail art design that enhances the look for the day. Mehndi inspired designs are quite in fashion this year, looks suave and luxe. 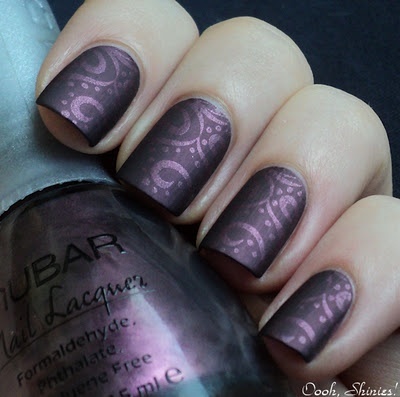 If you are thinking of a simple mehndi design for your hands, then go for a beautiful mehndi inspired stamp and polish for your nails. Otherwise, get a curling vine mehndi design at the back of your hands and a glossy white nail art for a super sassy look. Besides, if you are very busy this Karwa Chauth and have no time to get mehndi done on your hands, in that case, opt for a lavish and intricate mehndi-stirred nail art design. Also, if you adore mehndi clad hands and equally decked-up nails, then you have a matching nail art design that beautifies the look for your hands. On this one occasion, when the attention will be on your hands and fingers, just make sure to indulge in the glory of perhaps one of these simple and sleek nail art designs. Ladies, have a grand and glam Karwa Chauth!